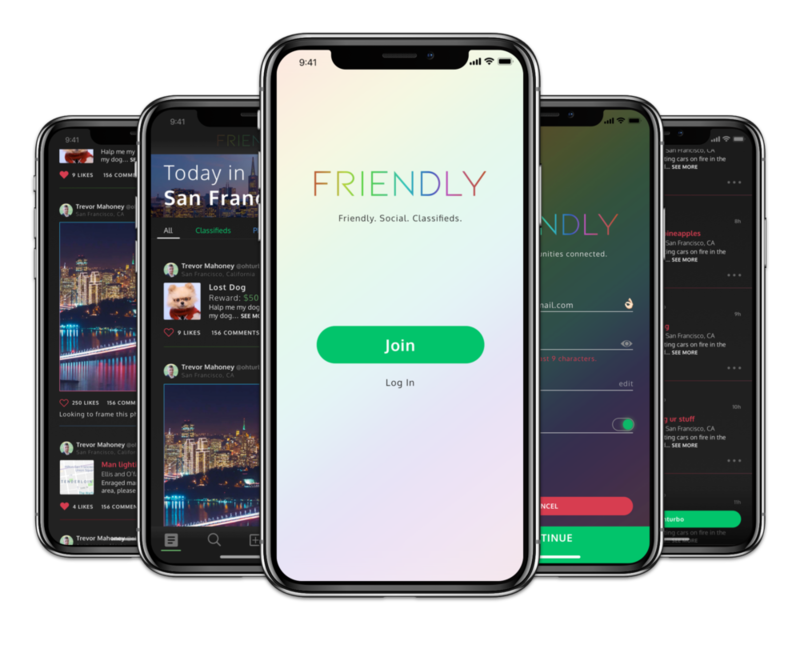 A personal project, FRIENDLY is an app where people can view classifieds, photos, postings, and police reports about and within their area. FRIENDLY offers a quick way to see whats going on around you. Need a new couch? Want to view photos from the area? Wondering what those sirens were about last night? All of this important information is available and ready in one simple application. I originally wanted to challenge myself to combine my favorite parts of different apps that I use regularly. Posts from the third party Reddit app called Apollo, Photos from Instagram, and the Police Reports from Citizen. Coming from San Francisco, I know how difficult it can be to find housing so as an extra challenge I wanted to include the concept of classifieds. Before getting into the visual style of the app I mapped the user flow and general layout. This is where I’m able to iterate on the User Experience over and over again until I have something I’m happy with. I wanted to use the design of this app as an opportunity to learn about and explore the concept of Dark Mode. Since I have the habit of immediately switching to Dark Mode when given the chance, I decided to include that option right in the registration.